- VACUUM BLACKHEAD REMOVER DEVICE: This is a beauty device which is a collection of blue light, dermabrasion, cleaning pores, blackhead removal and grease function. 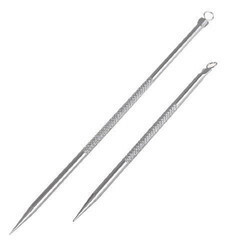 This Black Head Remover is made of quality stainless steel that makes it durable. Acne in its first stage attacks you in the form of blackheads and whiteheads. Yes, those pesky white and black spots are two basic acne types. Blackheads and whiteheads are the mild form of acne which are non inflammatory in nature.Medically blackheads are termed as open comedones. - Ideal for beauty parlor, cosmetics shops, etc. 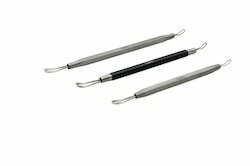 Owing to the years of industrial experience, we have been able to serve our valued clients with a wide range of Black Head Remover. - Minimizes the appearance of large pores and helps to remove dirt that causes acne & blackheads. - A GREAT GIFT - This blackhead comedo is a wonderful gift for your wife, husband, friends or your loved ones. GIVE YOUR LOVED ONE BEST SKIN CARE. We provide lifetime warranty with friendly customer service. We're ahead of the game with these brilliant aluminium deer and stag heads and have now found a gazelle to add to our collection. Our fantastic antlered animal head collection make the perfect trophy pieces, whether it's a stag, a gazelle, or a deer head you're hunting for.